What’s up. It’s Glaze here coming at you live from my bedroom. I’m writing to let you know that tax day is right around the corner. To celebrate, we decided to enter a youtube contest, instead of actually doing our taxes. 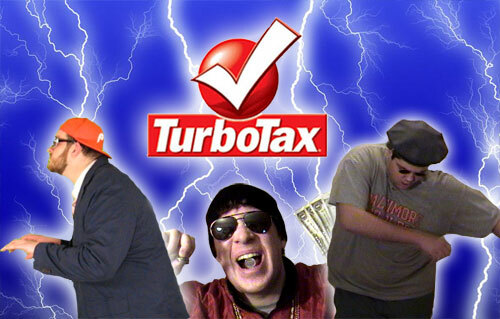 The contest was to make a rap song and video about Turbo Tax, which is some sort of computer program that does your taxes for you. 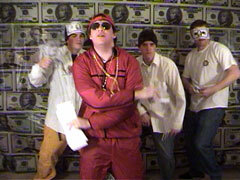 E-Dub, Muth, and I all made our own songs and videos. Now, we’ve never asked you for much, but we really need your help with this one. The top 13 rated videos in the contest get sent over to Vanilla Ice, and he picks the winners from that group. It would really mean a lot to Muth if you could vote for our videos. Just click the links or pictures below, and then click the "I Like This" link next to our videos one no one else’s. And PLEASE DO IT RIGHT NOW. Voting ends on April 8. Thanks. E-Dub immerses himself in a made-up world, and raps with his make-beleive friends. This is sort of like if Mr. Rogers was really into finances and hip hop music. 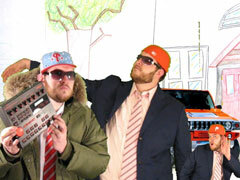 The video stars E-Dubble’s homeboys and homegirl named Freezy, DJ Well Drink, 12 Grain, Milk Money, Theresa, and Professor Morris. If you would have cleaned up Glaze’s Apartment after he filmed this video, you would have literally been able to buy France with all the fake money you found. This video also features Stubbs, Skeltz, MTA, and Brook. Muth tells a haunting tale about the stress and anxiety we all feel when tax day is coming up and we don’t have a plan. 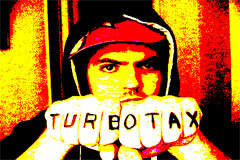 Then he makes a plan for you, which is to go buy Turbo Tax, and shows you why you will "Like That". The video co-stars Muth’s dad and Bones. 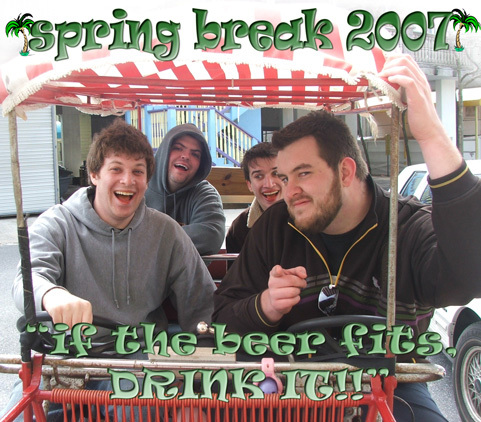 Three years ago, we made a song about going to the future to party at spring break 2007. Somehow, we all managed to survive that long and actually do it for real. If you missed the most legendary party since Socrates got crunk off of hemlock, don’t worry; you can play this song, check out the pictures that will be up in a day or two, and live vicariously through us. So I entered this eminem remix contest, and made this song. 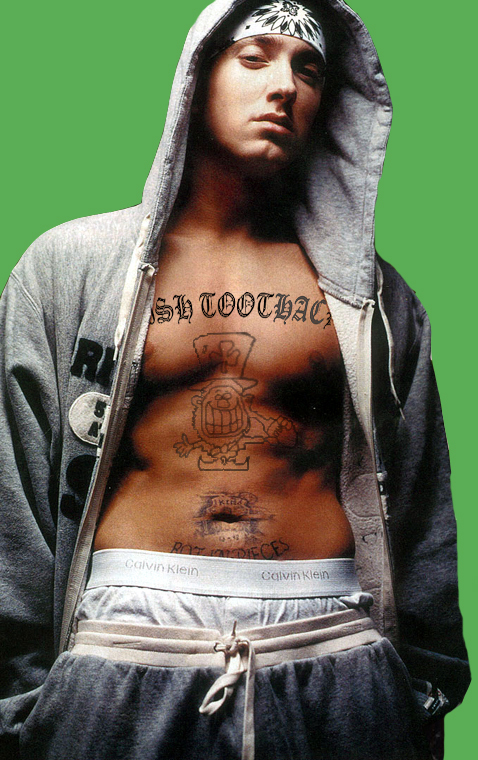 Click on eminem’s chest tatoo to hear it. Enjoy.